Columbia River Herbals East was the 1st MJ Store in The Dalles, OR. Originally opened in September 2015 as a Medical Dispensary became full Recreational in January 2017. This is the only store located in the Downtown area of The Dalles. 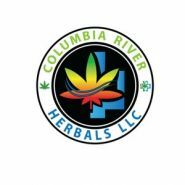 Also visit Columbia River Herbals West located at 2630 W. 6th St. The Dalles, OR.